California Senator Scott Wiener (D-District 11-San Francisco) has announced new legislation requiring the creation of clear guidelines for wineries and breweries on reusing “process water” onsite for procedures such as rinsing equipment and tanks in order to save water. California’s wineries and breweries and wineries are interested in reducing their water footprint as a means to help the state’s structural and persistent water shortage. SB 166 would direct the State Water Board, in consultation with the California Department of Public Health–Food and Drug Branch (CDPH), to develop regulations for microbiological, chemical, and physical water quality and treatment requirements for the onsite treatment and reuse of process water at wineries and breweries. The regulations would include water quality monitoring requirements, notification and public information requirements as well as annual reporting to the CDPH–Food and Drug Branch. 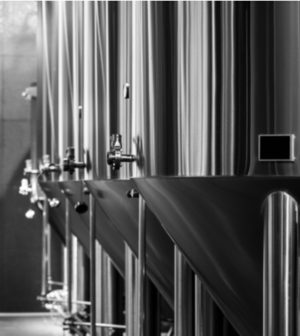 Wineries and breweries use water not only to make wine and beer but also for cleaning their supplies including their tanks and packaging equipment. This stream of water is called process water and can be treated and reused onsite for tank rinses as well as other purposes. Recycling process water onsite in a brewery can reduce the water needed to make a gallon of beer from about 7 gallons to as low as 2.5 gallons. Senator Wiener’s new legislation includes bipartisan support in both the state Assembly and the state Senate. Assemblyman Randy Voepel (R-71st District-Santee), Senator Steve Glazer (D-7th District- Orinda) and Senator Jeff Stone (R-28th District- Indio) have all co-sponsored Wiener’s SB 166. Regulations within SB 166 would apply to wineries and breweries that are required to obtain a Processed Food Registration license from the Food and Drug Branch, which are the vast majority of breweries and wineries. Senator Wiener’s legislation would make it easier for breweries and wineries throughout California to reuse their water, using the appropriate technologies and methods, without having to reinvent the wheel every time. The State Water Board will be required to develop these regulations on or before December 1, 2025. SB 166 is sponsored by the San Francisco Public Utilities Commission (SFPUC), and has the support of the Natural Resources Defense Council, SPUR, and the WaterNow Alliance. The bill is a continuation of Senator Wiener’s efforts to increase water recycling and reuse throughout California. Both the SFPUC and the NRDC have praised Senator Wiener’s efforts.